When setting out to find the best industrial high tenacity polyester, it's important to know and understand the key physical properties you are looking for, and to understand the units of measure being presented for each one. The table below contains a list of some of the largest polyester yarn producers in the world, as well as a list of polyester yarn specifications for specific types of their 1000 Dn (1100 dtex) high tenacity standard polyester yarns. * HAS methods may be different from supplier to supplierThe data contained in this chart is for general information purposes only. What do these specifications mean? Denier (Dn) is a direct numbering system which expresses the weight in grams of a multifilament yarn that is 9,000 meters in length. Lower numbers represent finer sizes of filament yarn (or cut fiber), and higher numbers represent coarser sizes of filament yarn (or cut fiber). A filament is a single thread-like object. Multifilament implies there is more than one filament. Fil count tells us how many single filaments there are in the cross-section making up the total Denier. An important parameter to consider and which is not listed on the above table is denier per filament (dpf). Ideally and in general, DPF should be 5.2 e.g. 1000 denier / 192 Filaments. Lower dpf offer a softer feel at standard twist levels, while higher dpf may offer better resistance to abrasion. Yarn made from higher dpf will exhibit higher torque compared to similar denier with a lower dpf. Breaking strength is the maximum load that a material can withstand while being stretched or pulled before failing or breaking (also known as tensile strength). Knowing the minimum strength requirement of a finished article is important when deciding what denier to choose as your base material. Very important when failure can lead to liability claims. Tenacity is force divided by linear density. The unit of measure in the above table is grams/denier. High tenacity is generally preferred over mid tenacity. High strength from finer yarns also offers higher yield with optimum tensile performance. Elongation at break is the elongation of a test specimen (fiber, filament, yarn or thread) produced by the breaking force. It is generally known and shown as the stretch expressed as a percentage of the original unloaded specimen length. Required elongation at break can vary widely depending on the end use. Hot air shrinkage is another important consideration of a yarn specification. For example, in hose manufacturing, a yarn is braided around the hose and then put through a vulcanization process and if the yarn does not have correct shrinkage values it can drastically affect the integrity and appearance of the hose after the vulcanization process. As the table indicates, there is very little variation between the various manufacturers of high tenacity polyester in the general physical properties measured. Other factors including availability, service, spin finish, and package wind quality are often the deciding factor in choosing the best choice for a particular processing application. While there are many different types of polyester, the table above only lists some of the industrial yarn suppliers of high tenacity industrial 1000 Dn polyester. 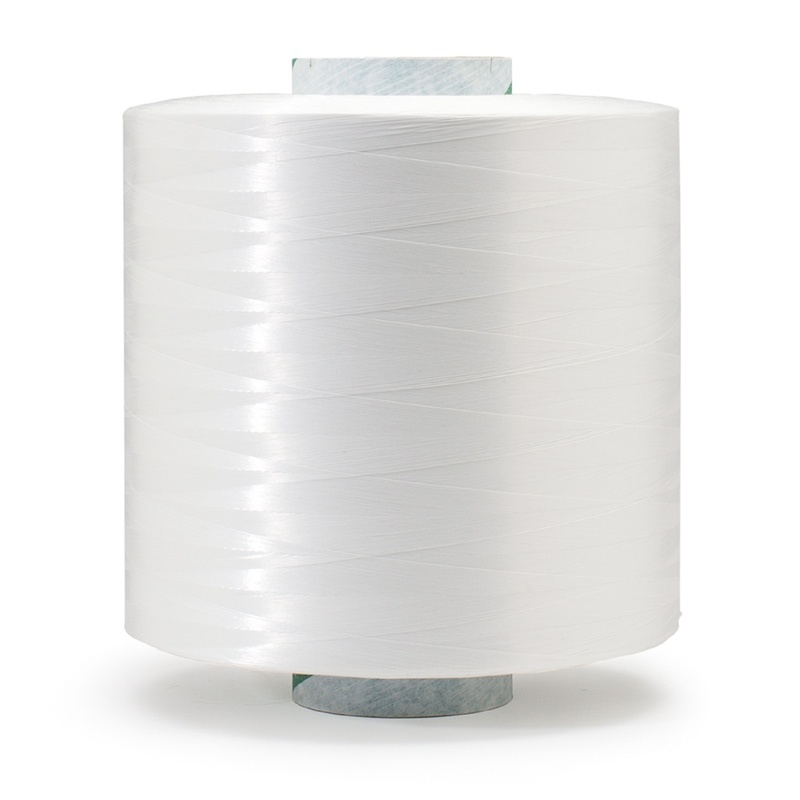 These yarns often need to be further processed through twisting, winding and/or single-end coated or treated to be used in product applications. See our list of yarn converters for help. Need help determining the best polyester for your application? Download our guide below.